"Label Lab is the brand of choice for those with an edgy urban style. Rock ‘n’ roll elements are combined with a vintage aesthetic whilst treated and distressed fabrics meet soft colours and unique prints across both the Menswear and Womenswear collection. Denim, leather jackets and graphic tees create the signature Label lab look, with womenswear layering on embellishment and luxe detailing; helping this exclusively launched brand to win an army of fans." Those of you who have been following this blog may wonder why I've decided to write about a brand which produces clothes with an edgy urban style, with rock 'n' roll elements and garments made from distressed fabrics and denim. My style couldn't be described using any of these labels, and most of what I write about is not particularly edgy, but rather more traditional. Despite of this, Label Lab has several products that I quite like and I've been lucky enough to get hold of an overcoat which fits my style while adding an extra element to my wardrobe. 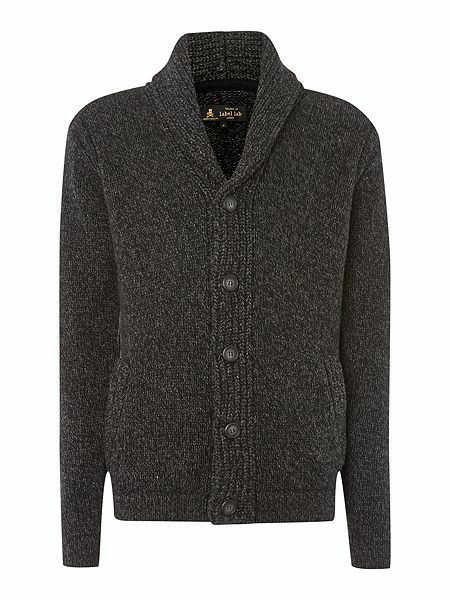 The Label Lab Wrap Over Collar Coat is made from a delightfully soft, heavy, boiled wool blend material. Being charcoal in colour makes it blend in, and useful for most occasions. The design, however, is different from any other overcoat I've ever owned and this makes it stand out among the myriad of charcoal overcoats out there. In all simplicity, this overcoat can be described as three quarter length, double breasted, with a concealed six button fastening. What makes it different are the diagonal lines down the front ending in a split at the bottom. 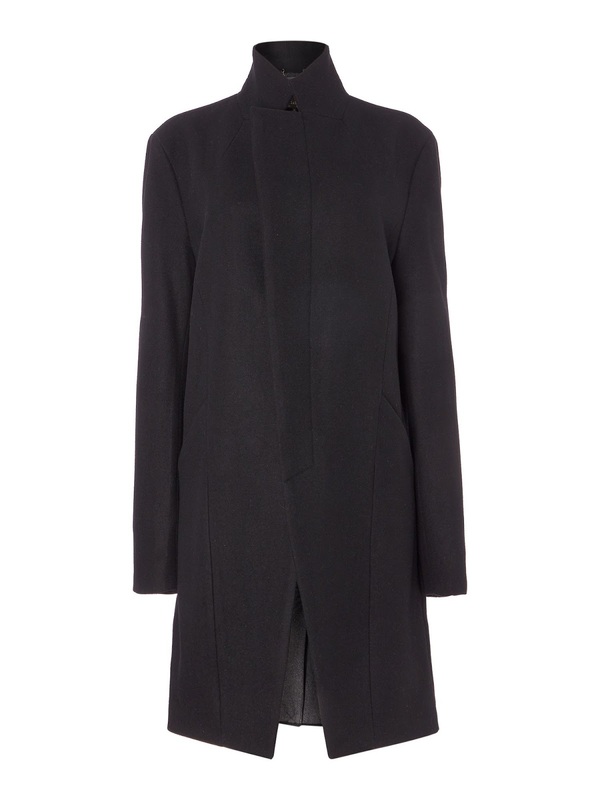 This gives this overcoat a wrap around appearance which looks quite elegant. 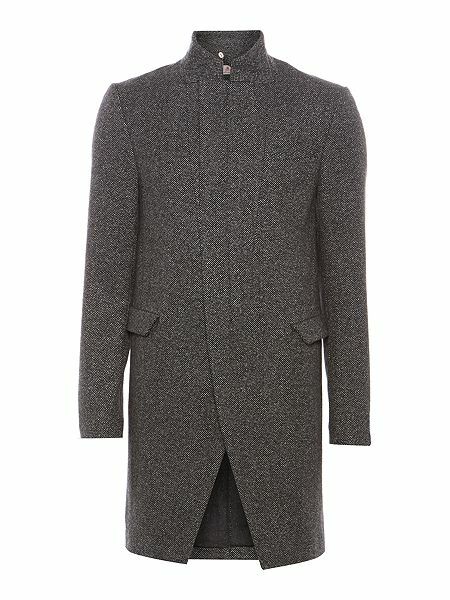 The the over sized, shawl like collar is another excellent feature of this overcoat. The collar wraps around your neck, making a scarf superfluous even in quite cold weather. Raising the collar will give you even more protection from the cold as it reaches all the way up above you ears, keeping you nice and cosy. Having worn this overcoat a few times now, in cold wintry conditions, I must say that it is very warm and comfortable. So, if you're after a stylish overcoat that will really keep you warm, this could be a very good option, and the price is quite reasonable as well. You'll find it at House of Fraser. the winter can throw at you. Below are some of the other Label Lab items I think are quite nice. For a full selection of Label Lab products, visit the label at House of Fraser.